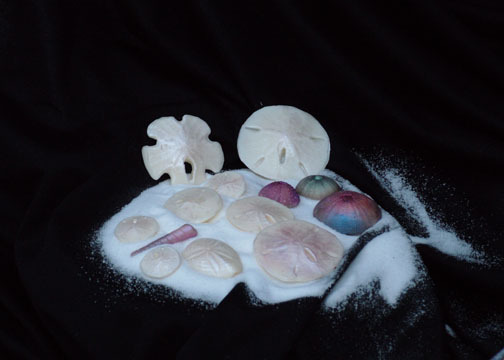 Take a look at our edible shells. 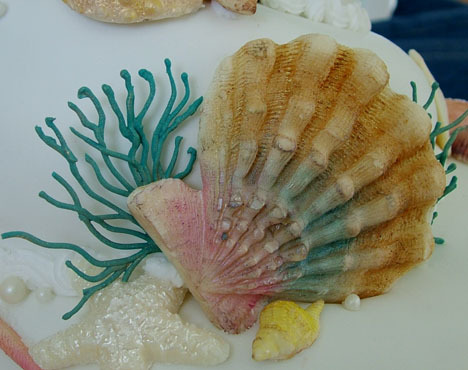 Each shell is created from white chocolate & hand painted with an edible coloring, according to our client's wishes. 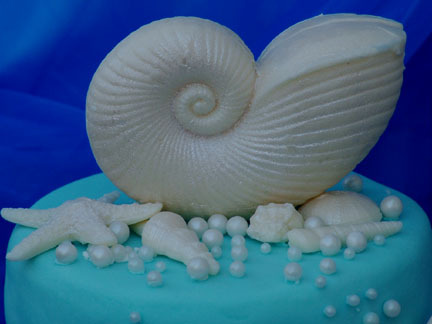 We make our own chocoalte molds. 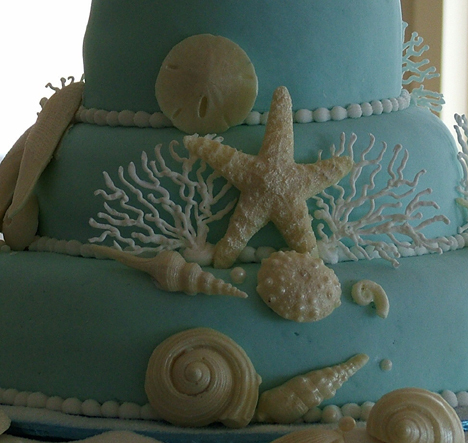 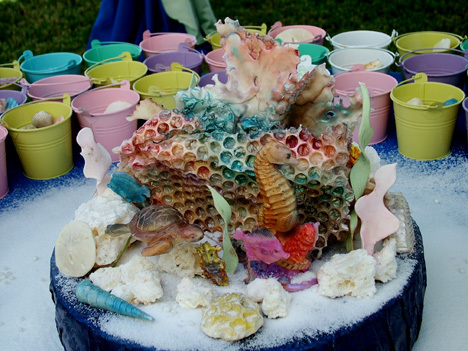 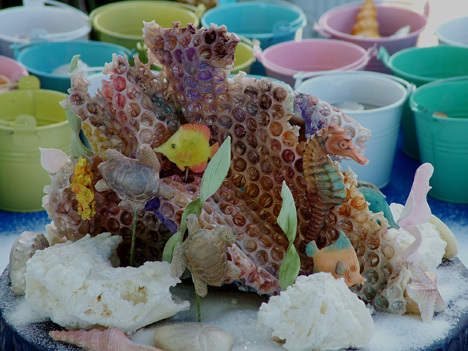 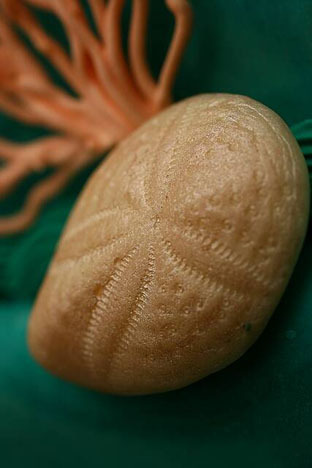 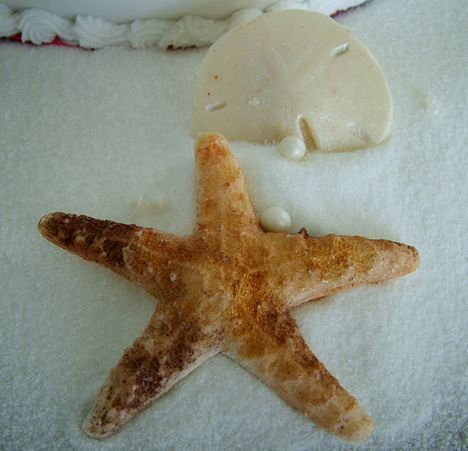 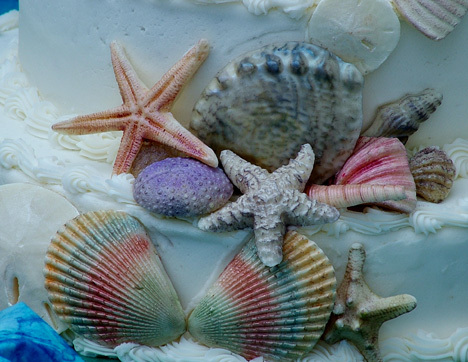 This rewards us with shells that are very realistic & will amaze your guests!! 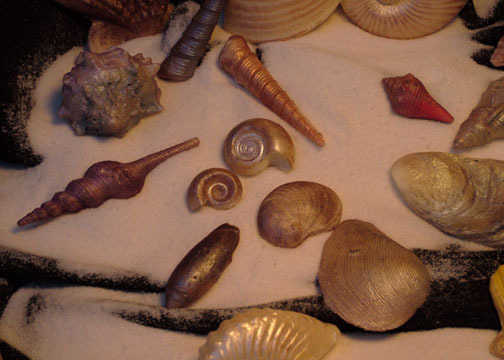 We ship our shells worldwide. 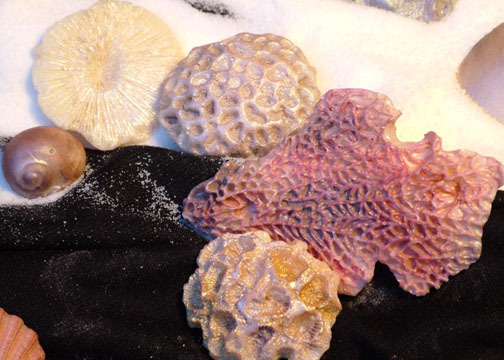 Everyone has different ideas on how to use these melt in your mouth shells, so call us for pricing. 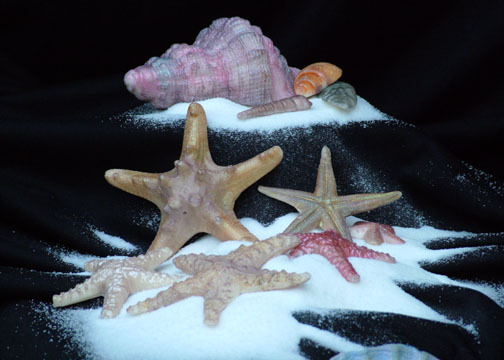 Shells brushed with white pearl for an irredesant shimmer. 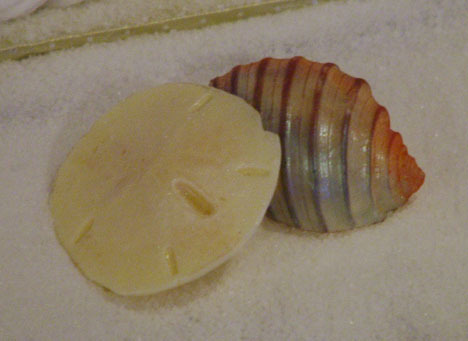 The Natculis Shell to left is surrounded with sugar pearls.